The first event is the Vernal Equinox, scheduled in Los Angeles for March 20, 2015 at 3:45 PM PDT. On that day, daylight will last 12 hours, 7 minutes and 37 seconds (12:07:37); nighttime is 11:52:13 long. You will note that these periods of day and night are not equal. Day and night were nearly equal on March 16, with 11:59:05 of daylight. Equinox: When the sun crosses the plane of the earth’s equator [from Latin aequinoctium, the time of equal days and nights]. First: Sunrise occurs when the leading (upper) edge of the rising sun first becomes visible above the horizon. Sunset is when the trailing (not the lower) edge drops below the horizon. 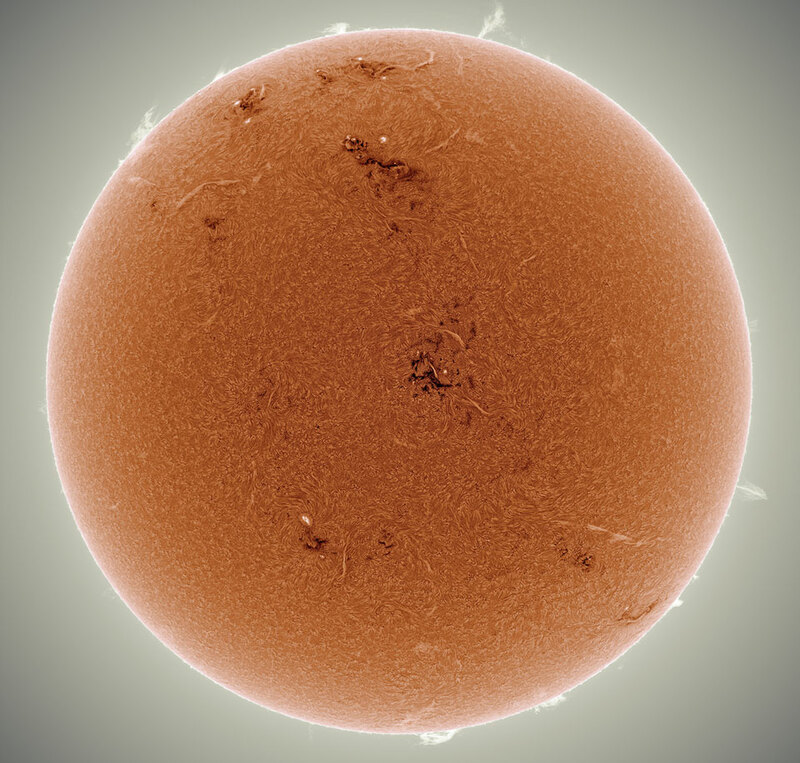 The width of the sun adds about six minutes of daylight. Second: Refraction of the sun’s rays by the earth’s atmosphere permits us to see the sun both before it has actually risen and after it has actually set, adding several minutes each to sunrise and sunset. In total, day exceeds night on March 20, 2015 by 15 minutes , 14 seconds. away from the sun whose warming rays now must penetrate more atmosphere, and the northern hemisphere cools down. Seasons are opposite south of the equator. 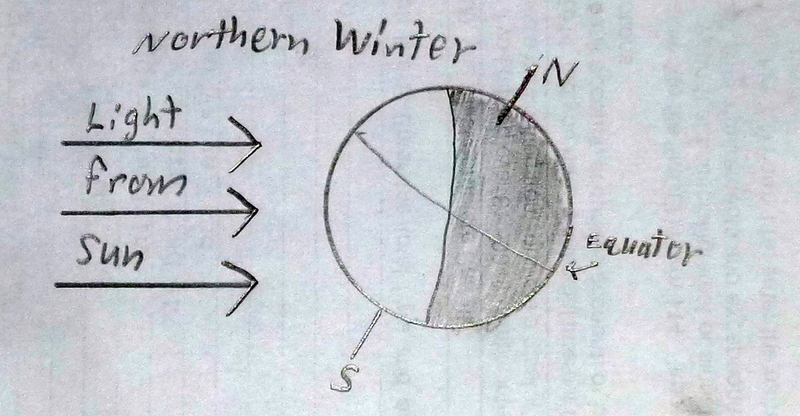 The closer you are to the equator, the more equal are day and night, summer and winter, warmth and cold. The temperature extremes of winter and summer are replaced by rainy and dry seasons. At equinox: right diagram shows view past top of sun towards earth. 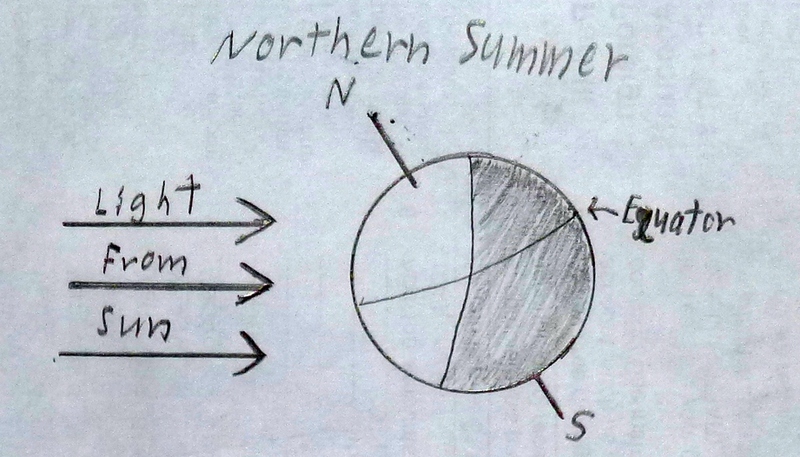 Throughout the northern winter and spring, the points of sunrise and sunset move farther and farther north. The extremes are the Winter Solstice (around December 21), when the sun rises and sets farthest to the south, and the Summer Solstice (around June 21) when they are farthest to the north. 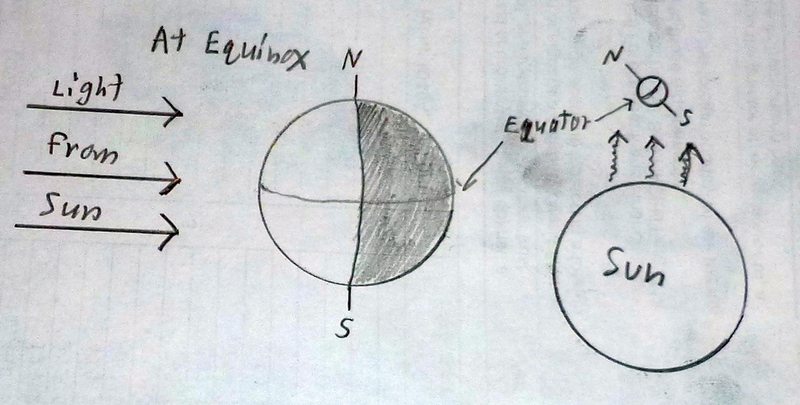 The equinoxes mark the halfway point, when sunrise and sunset are exactly east and west. Well, not exactly. The sun sets at 270° – exactly west – on March 19 at 7:04 PM PDT, rises at 90° – exactly east – on March 20 at 6:27 AM, and sets March 20, 7:05 PM at 271°, slightly north of exactly west.